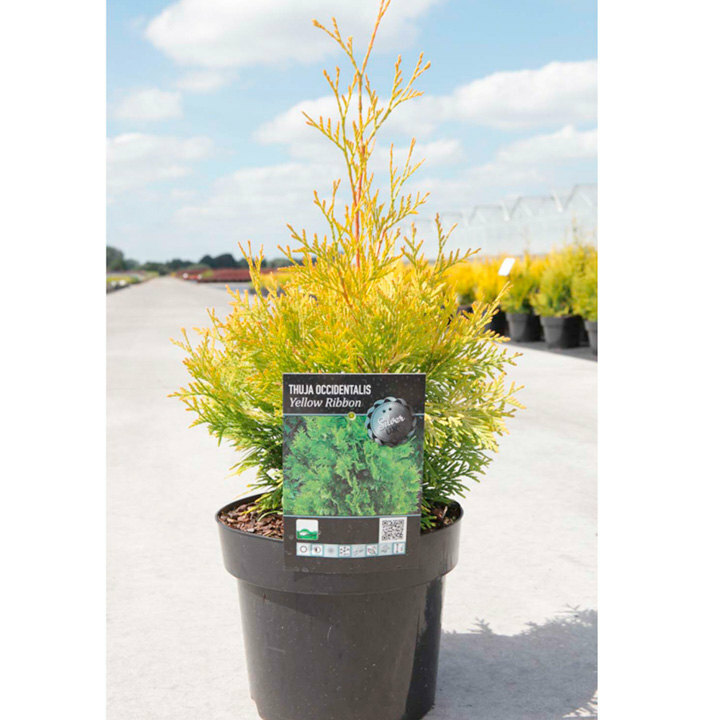 The aromatic golden yellow foliage of 'Yellow Ribbon' turns bronze in winter. Can be grown as an architectural statement with its columnar shape in the garden or as a hedge. Height 301cm+. Supplied in a 5-7.5 litre pot. The aromatic golden yellow foliage of 'Yellow Ribbon' turns bronze in winter. Can be grown as an architectural statement with its columnar shape in the garden or as a hedge. Height 301cm+. Supplied in a 3 litre pot or 5-7.5 litre pot. Evergreen, therefore, all year round interest.